Iron is an essential mineral that your body requires to maintain optimal health. 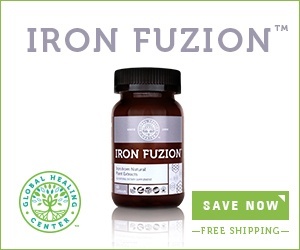 There is a common misconception that iron is only obtained by eating meat and that iron deficiency is more prevalent amongst vegans and vegetarians.Natural, plant-based iron supplements and food can provide the iron your body needs and in some cases may even help prevent iron toxicity. If you need to shore up your iron levels, then consider the benefits of plant-based iron. There are two primary sources of dietary iron—plant and animal foods. 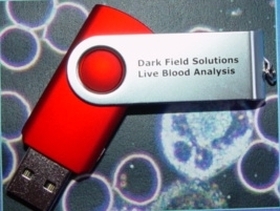 The technical terms for these are heme iron and nonheme iron, respectively. There has been a lot of investigation into the absorption differences between these two types of iron. Although animal, or heme, iron is absorbed faster, it can actually overwhelm your body and even lead to a serious iron imbalance known as iron toxicity. In contrast, the body absorbs plant, or nonheme, iron at a more controlled rate. Slow, regulated absorption helps keep your body’s iron levels optimal and in balance. Low iron levels can lead to fatigue, chills, brain fogbrain fogbrain fog, or worse: iron deficiency anemia. Too much iron can lead to vomiting, intense abdominal pain, and even organ failure. Plant-based iron is absorbed more slowly and that helps maintain normal iron balance, which translates to fewer health concerns. In contrast, heme iron from animal sources (blood and tissue) has been linked to heart disease, stroke, and colon cancer. [4, 5, 6] One study reported that increasing your heme iron intake by just one milligram per day could increase your risk of heart disease by 27 percent. Your body has a complex set of mechanisms that work together to absorb, store, utilize, and monitor iron. Vitamin C, for example, supports your body’s ability to absorb iron. Likewise, gut health significantly influences iron uptake. By obtaining your iron from dark leafy green vegetables, legumes, nuts, and seeds, you will also get the added benefit of vitamins, trace minerals, prebiotics, and antioxidants. A healthy and consistent intake of fruit and vegetables ensures you don’t miss out on these vital nutrients. There are reasons that extend beyond health concerns why someone may prefer a plant-based diet or lifestyle. Many people prefer to minimize their environmental impact. A diet that includes meat requires more energy, land, and water resources to support. Sticking with plant-based supplements and food for your nutritional needs reduces your environmental impact. There are several options when it comes to plant-based sources of iron. Spinach, kidney beans, and pumpkin seeds are just a few that are good sources of iron and other vital micronutrients. However, when it comes to iron supplements, there are fewer plant-based choices. Global Healing Center is trying to change that. We’re in the final stages of development of a new vegan supplement that provides an ideal serving of plant-based iron from organic curry tree leaves. We’re aiming to release this new product in a few weeks, stay tuned! Do you have any insight into plant-based iron? Leave a comment below and share your thoughts with us. Angela V. Saunders, Winston J. Craig, Surinder K. Baines and Jennifer S. Posen. “Iron and vegetarian diets.” Med J. (2013): 199. Monsen, E.R. “Iron nutrition and absorption: dietary factors which impact iron bioavailability.” J Am Diet Assoc. (1988): 786-790. Hunnicutt, J., He, K., Xun, P. “Dietary iron intake and body iron stores are associated with risk of coronary heart disease in a meta-analysis of prospective cohort studies.” J Nutr. (2014): 359-66. Kaluza, J., Wolk, A., Larsson, S.C. “Heme iron intake and risk of stroke: a prospective study of men.” (2013): 334-339. Bastide, N. M., F. H. F. Pierre, and D. E. Corpet. “Heme Iron from Meat and Risk of Colorectal Cancer: A Meta-analysis and a Review of the Mechanisms Involved.” Cancer Prevention Research 4.2 (2011): 177-84. Yang, W., Li, B., Dong, X., et al. “Is heme iron intake associated with risk of coronary heart disease? A meta-analysis of prospective studies.” Eur J Nutr. (2014): 395. Cook, J.D., Monsen, E.R. “Vitamin C, the common cold, and iron absorption.” Am J Clin Nutr. (1977): 235-241. Hoppe, M., Önning, G., Berggren, A., Hulthén L. “Probiotic strain Lactobacillus plantarum 299v increases iron absorption from 2 an iron-supplemented fruit drink: a double-isotope cross-over single-blind 3 study in women of reproductive age–ERRATUM.” Br J Nutr. (2015): 114. Farmer, Bonnie, Brian T. Larson, Victor L. Fulgoni, Alice J. Rainville, and George U. Liepa. “A Vegetarian Dietary Pattern as a Nutrient-Dense Approach to Weight Management: An Analysis of the National Health and Nutrition Examination Survey 1999-2004.” Journal of the American Dietetic Association (2011): 819-827. Pimentel, D., Pimentel, M. “Sustainability of meat-based and plant-based diets and the environment.” Am J Clin Nutr. (2003): 660-663.